FDC supporters celebrate Muzanira’s victory on Friday morning. Forum for Democratic Change candidate Betty Muzanira has been declared winner of the Rukungiri District Woman Member of Parliament seat by-election by the Electoral Commission. In the hotly-contested race, punctuated by heavy security deployment during the voting, the Oppositions’ Muzanira polled 50,611 votes against NRM’s Winifred Matsiko who managed 46,379 votes. According to Umaru Kiyimba, the Rukungiri District Electoral Commission returning officer, the official results announced in the wee hours of Friday saw the Opposition defy all odds to defeat the NRM party. This was all amidst cries of ballot rigging and voter bribery according to election observers. During the election, the FDC decried heavy security deployment in the region claiming it was aimed at intimidating voters. 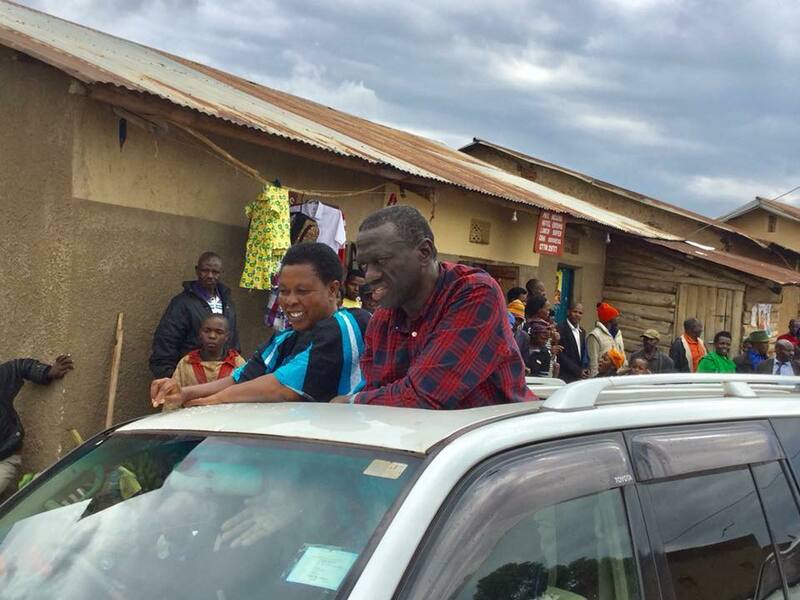 “When you change an election into a fighting battle, it ceases to be the will of the people,” Dr Kizza Besigye, the FDC’s former president told journalists saying the tight security aimed at creating tension to the voters. During the day, a number of people were arrested including FDC’s ex- contender for Rwampara County in Mbarara district, Mr Vincent Kyamadidi, who was arrested on grounds related to election rigging and voter bribery. NRM chairman, President Yoweri Musevni and FDC’s Besigye also faced off in the by-election campaigns for their candidates with the country waiting to see the impact of the Shs5 billion spent by President Museveni on donations in district earlier. Other people who graced the district to campaign for their candidates included Kampala’s Lord Mayor Erias Lukwago, Kyadondo East legislator Robert Kyagulanyi Ssentamu, Moses Kasibante, Lubaga North and Mubarak Munyagwa among others. The FDC claims the people of Rukungiri revenged on the NRM’s Matsiko for having participated in the “overthrow” of the Constitution. “TOGIKWATAKO” was an underlying theme of the Rukungiri campaign. Former MP Ms Winnie Matsiko having participated in overthrow of the Constitution- falsely claiming to have consulted the people. A time for reckoning!” a statement issued on social media by the FDC stated. “The last campaign day drive & [and] rallies were a monumental demonstration by Rukungiri people! Shame: Govt controlled media couldn’t show the pics! [Pictures]” the FDC said in a statement on their official Facebook page. 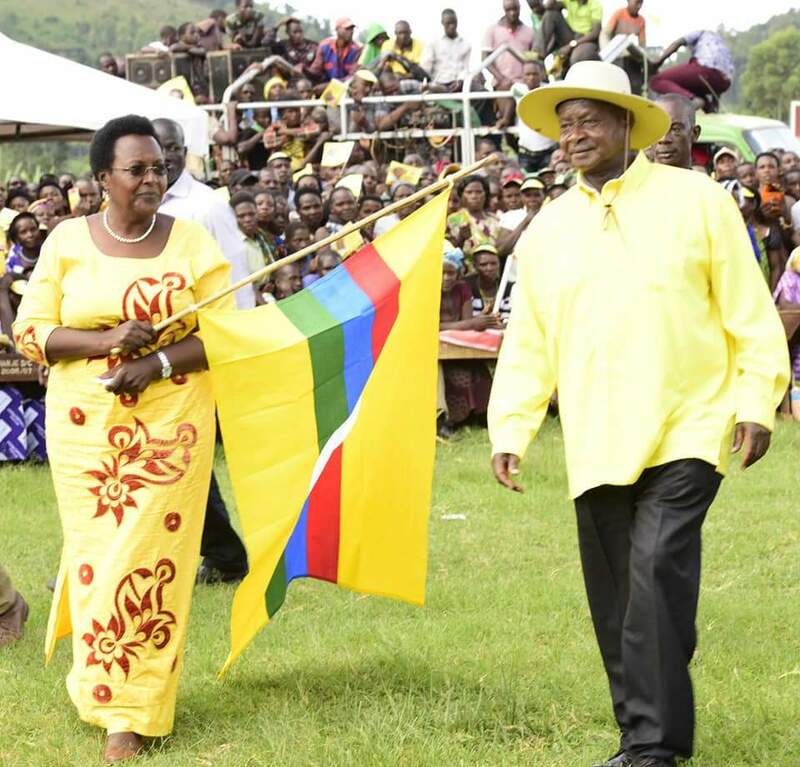 President Museveni has camped in Rukungiri to ask voters to return Winnie Matsiko to Parliament. The Rukungiri Woman MP by-election was occasioned by the Court of Appeal ruling that nullified Masiko’s 2016 election victory following a petition by Ms Muzanira. Other candidates included Kukundakwe Fabith -PPP who polled 183 votes and former Minister, also once Rukungiri Woman MP, Sezi Prisca Mbaguta – Independent who polled 993 votes.